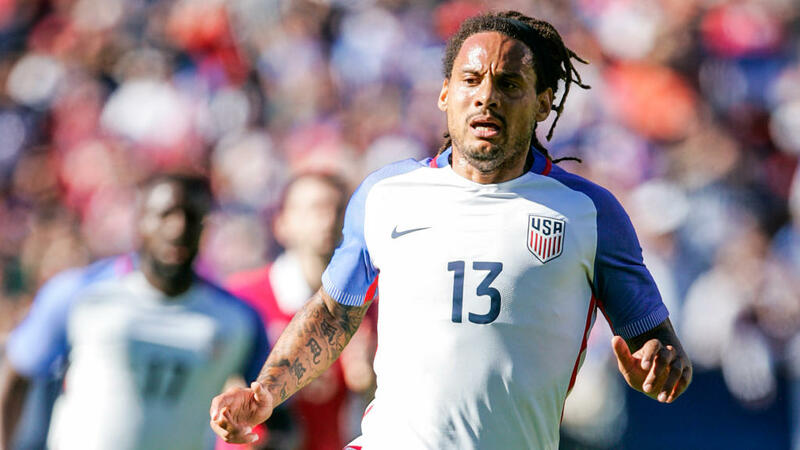 Former Bundesliga and US national team midfielder Jermaine Jones announced his retirement on Friday, calling time on an 18-year career. Jones, born in Frankfurt to a German mother and US soldier, enjoyed Bundesliga stints for Eintracht Frankfurt, Schalke 04 and Bayer Leverkusen and brief turns with England's Blackburn Rovers in 2011 and Turkish side Besiktas in 2014 before spending his final four seasons from 2014-2017 in Major League Soccer. "After 18 years I say good bye," Jones wrote on Instagram. "I have a clear vision, after I had a couple of months to concentrate on what comes next!!! THANKS to all my teammates, coaches and clubs who stuck with me & believed in me through all of the years. And a special thanks to all the fans who supported me all the way. See you all soon." Jones, 38, scored four goals in 69 caps for the US squad after switching nations from Germany after playing for under-20 and under-21 sides. His lone World Cup for the Americans came in 2014, when he netted an equalizer against Portugal in a 2-2 draw. In MLS, Jones had his best success with the New England Revolution, reaching the 2014 MLS Cup final before losing to the Los Angeles Galaxy. He later played for the Colorado Rapids and the Galaxy.